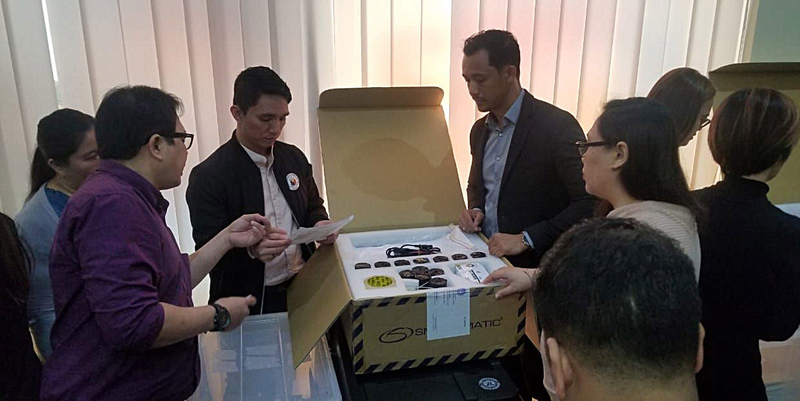 Dubai: It’s all systems go at the Philippine missions in the UAE for the midterm elections after all vote-counting machines that went through final testing on April 6 were found to be accurate. Overseas voting for Filipinos in the UAE begins on Saturday, April 13 and ends on May 13. Registered voters in the UAE, at 318,862, make up roughly 18 per cent of the 1.78 million Filipino voters worldwide. 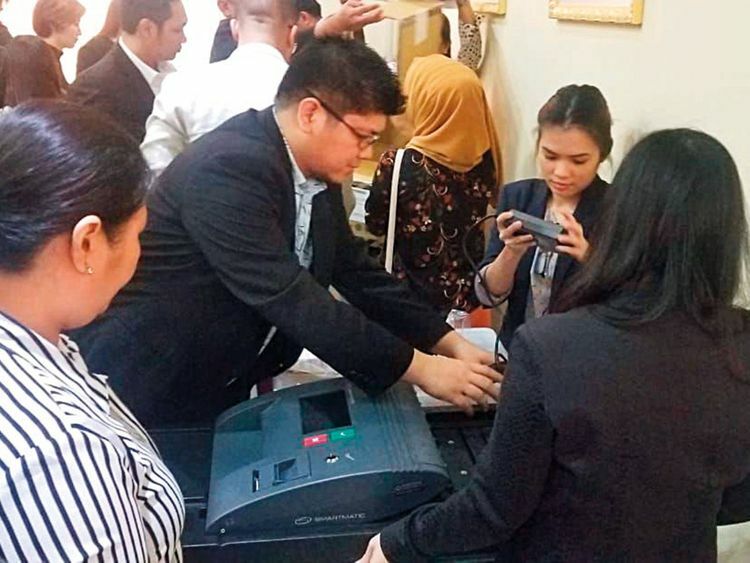 Eleven Precinct Count Optical Scan (PCOS) machines are stationed at the consulate in Dubai to cater to the 209,862 registered voters in Dubai and the Northern Emirates. Another seven machines are at the embassy in Abu Dhabi to cater for the 109,000 registered voters in the capital. Philippine Consul-General Paul Raymund Cortes emphasised the importance of letting the public witness the final testing and sealing of the vote-counting machines. “The final testing and sealing is a very important procedure because it is here that we show and prove to the public and our constituency that the vote-counting machines are properly calibrated to read the actual votes being cast by the voters. Which is why this is an open procedure which will hopefully dispel any doubt as to the legitimacy of this exercise. This way we are able to prove and assure the public of the integrity of the vote counting machines and the voting exercise is credible,” Cortes said. Polling centres at the consulate will open for voters from 8am to 9pm during the month-long election period, except on April 18 and 19. Cortes urged the public to take advantage of the long election period, including weekends, and not seek to cast their votes at the last minute. Voters will need to completely shade the oval-shaped space allotted before the names of the candidates of their choice. Only 12 senators and one party list group can be shaded. Shading more than the required number will render the ballot invalid. Having less than the required is accepted. Registered voters may check their names in the Certified List of Overseas Voters on both missions’ websites. They are advised to carry a valid ID and to come prepared with their list of candidates so they can save time at the precinct. Cortes highlighted that only those who are registered in Dubai can cast their votes during the month-long election period. “Only those who are registered in Dubai as overseas voters are allowed to vote here and you can find out if you are registered if you are in the CLOV [Certified List of Overseas Voters]. 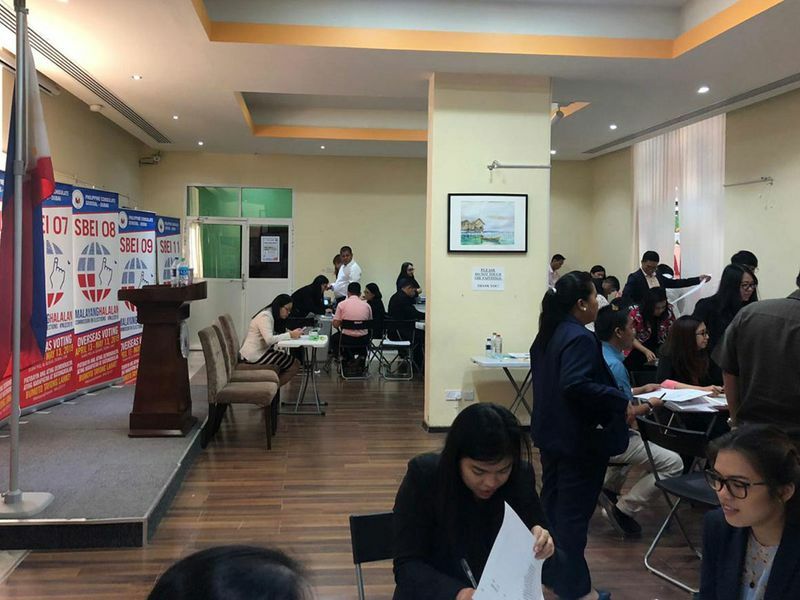 And we have that over here at the Philippine Consulate — we have printed out the whole list of the voters or you can find out on our website www.dubaipcg.gov.ph,” said Cortes. The public have been assured that PCOS machines are sealed and kept secure by 24-hour security. Continuous monitoring will also be done through the consulate’s security cameras.